The museum is situated on the site of the legendary musician's home, which he purchased in 1975. This house, featuring 19th-century architecture, was Marley's home until his death in 1981. It was converted into a museum six years later. 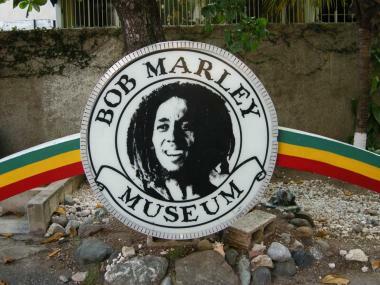 The main museum displays Marley's personal treasures. The property also features a well-equipped 80-seat theatre, a gallery, and a gift shop selling T-shirts, posters and CDs. Other stores offer snacks, herbs and spices, and African arts and crafts. Tickle your palate with vegetarian meals from the Queen of Sheba Restaurant.